The International Institute for Microtia Repair was created by Dr. Reinisch and Dr. Youssef H.Tahiri to provide patients, families and medical professionals with the most comprehensive and up-to-date source of information addressing the medical, psychosocial and surgical aspects of Microtia. If your child is suffering from microtia, we are ready to provide the compassionate care that he or she deserves. When a child is born with microtia, parents naturally want the most advanced and compassionate treatment available. Dr. John Reinisch and Dr. Youssef Tahiri are recognized for their expertise and outstanding care. A surgical pioneer, Dr. Reinisch advanced the field of microtia reconstruction when he developed the MEDPOR® technique in 1991. 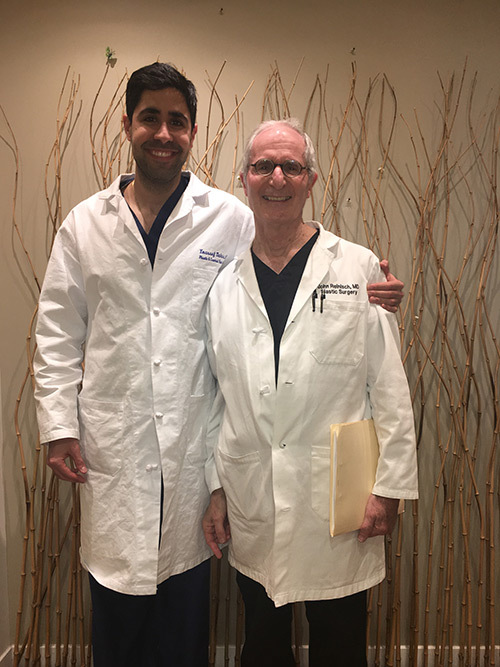 Patients travel from around the world to learn more about Medpor Ear Reconstruction in our institute, our practice located in Beverly Hills, and receive treatment provided by Dr. Tahiri and Dr. Reinisch. Our office team is ready to help our national and international patients experience convenient, hassle-free care. To learn more about microtia, as well as Dr. Reinisch and Dr. Tahiri’s advanced surgical techniques, contact our office today. At the International Institute for Microtia Repair, we strive to provide patients and families with the best care, service and experience. Our patients are very important to us. When you come in to meet with Dr. Tahiri or Dr. Reinisch, you will not only have their undivided attention but the whole team attention. We pride ourselves in knowing that our staff is knowledgeable, dedicated and will go the extra mile to make you feel comfortable and welcome from the very beginning whether you’re local, national or international.